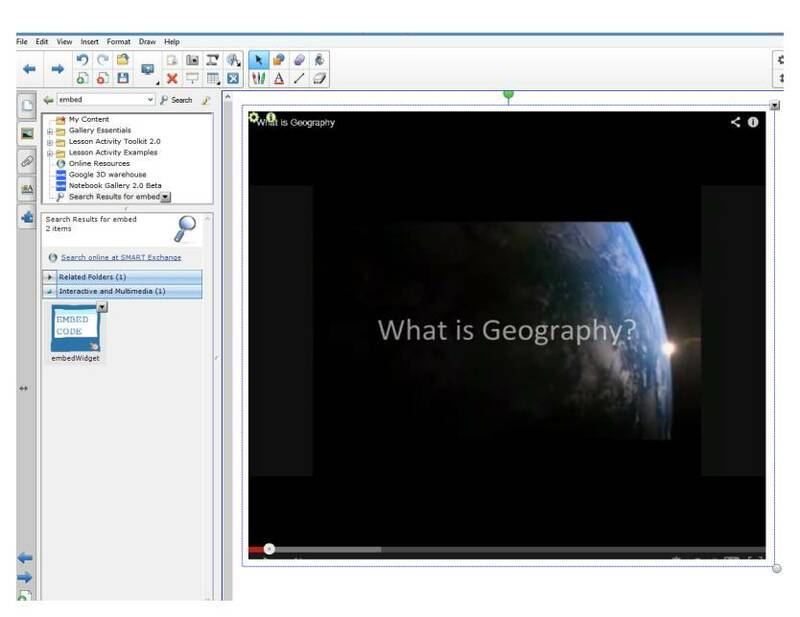 I have just been playing around with a very handy little widget for embedding YouTube clips straight into Notebook. It plays from the internet so still requires internet access but it is very handy having the video embedded straight into the page and although I have only tried a couple it seems to work very well. You can download the widget from Smart Exchange here and Danny Nicholson has given a quick and easy to follow tutorial of how to install the widget on his excellent Whiteboard Blog. 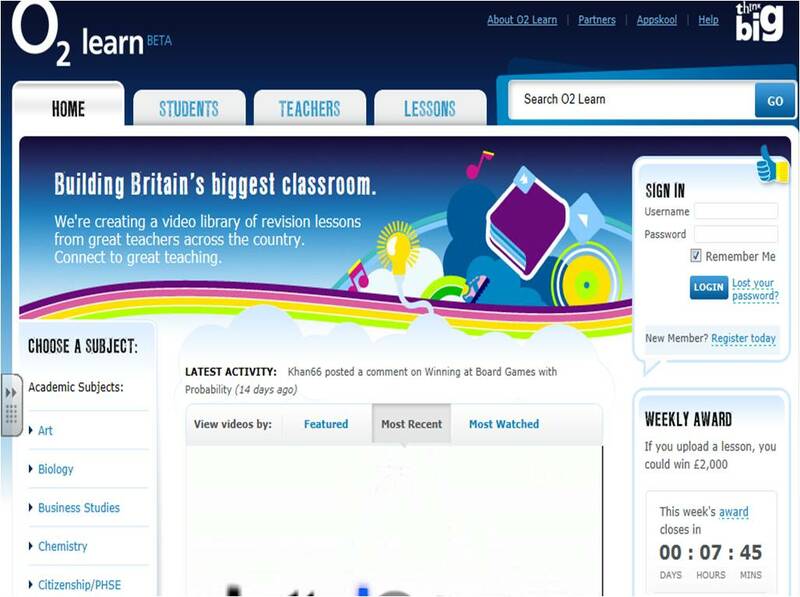 O2 Learn – brand new website launched! 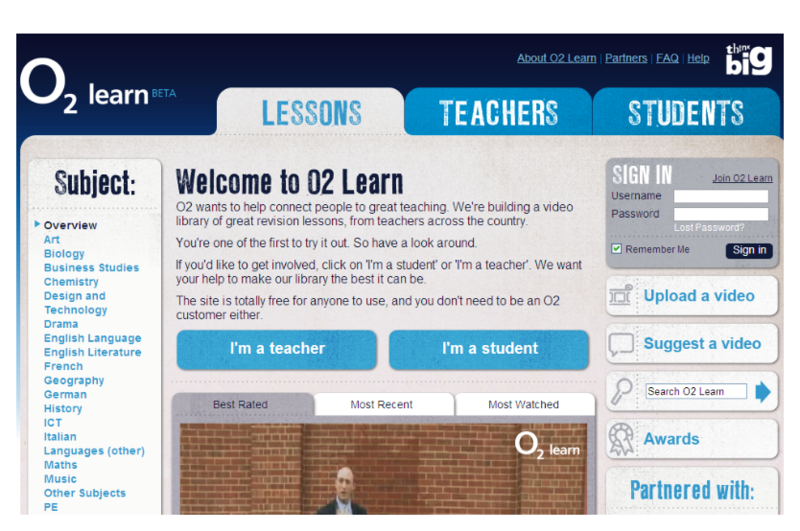 O2 are trying to help connect teachers and students with the launch of their brand new website O2 learn. Aimed at 13-18 year olds the site’s objective is to provide a way of helping students with revision or an opportunity to catch up in subjects that they might have missed or find difficult through access to free educational videos. The site encourages teachers to share inspirational teaching styles and approaches by uploading their best mini-lessons on camera. They are looking for clever ways of remembering things or understanding more complex processes. O2 have made the site as safe as possible in relation to the moderation process. Only registered teachers can post visitors and every video and comment is read and moderated. Indeed no one is able to comment until they register and agree to the terms. Twice a month, the video with the highest ratings and most view win a prize – £2,000 for themselves and £2,000 for their school. During the summer of 2011, a panel of education experts will choose 8 finalists who will eligible for winning the big prize of £50,000 for themselves and £100,000 for the school. (a second prize of 20,000 for the teacher and £40,000 for the school and a third prize of £10,000 for the teacher and £20,000 for the school will also be awarded). Winners are to be announced in October 2011, based 50% on the public vote and 50% on a panel of experts. Thanks to Danny Nicholson (Whiteboard Blog) for the Headsup!